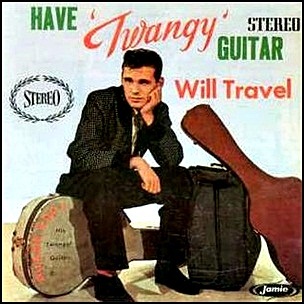 On January 9, 1958, “Jamie Records” label released “Have ‘Twangy’ Guitar Will Travel”, the debut Duane Eddy album. It was recorded in 1957, at “Audio Recorders” in Phoenix, Arizona, and was produced by Lee Hazlewood and Lester Sill. All tracks by Duane Eddy and Lee Hazlewood, except where noted.